Robert Whitman, aka "Pastor Bob," was stabbed to death in his own home last month. He was 67. "Bob was well known in his community for his generous spirit and acts of service. He went out of his way to help anyone in need without expecting anything in return," according to his obituary. Whitman served as a pastor for many years at multiple churches across Northern California, including Cottonwood Assembly of God. Whitman was also the president of the Mt. Lassen Assemblies of God Camp in Mineral, California. "Bob loved building. He built his own house, and after getting his formal contractors license, Bob started Whitman Construction, engaging contracting work in Redding and beyond," the obit says. "Bob's favorite outdoor pastimes included hunting elk and deer, RV camping with Mindy and the grandkids, snorkeling and scuba diving in Hawaii, and fishing for Mahi Mahi in Mexico." Whitman and his family attended Bethel Church at the time of his death. "As a leadership team, we were grieved to hear of this tragic event. One of our senior pastors has been in close connection with Bob's wife, Mindy, and their family; he attended Bob's funeral on Saturday, February 2. 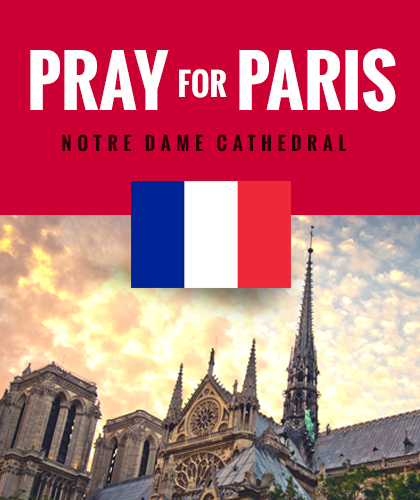 We continue to lift up our prayers for all affected by this event," says Aaron Tesauro, Bethel communications director. Whitman and his wife were both attacked by Frank Lane on Jan. 23. Whitman was stabbed to death while his wife survived after a cut to the face. "We've been here 25 years, and we've never had something like this happen," said Duane Clement, Whitman's neighbor. "It's highly unusual for this neighborhood." Police say Lane killed himself after attacking the Whitmans. The Record Searchlight reports the couple knew Lane and had invited him over for a dinner party. Police said the Whitmans had tried to help Lane in the past "as he was having trouble dealing with problems in his life." The couple's son, Tim, says, the attack stunned the family. "We don't know why this happened or Frank's state of mind," Tim said. "He was OK at Thanksgiving. "He was a very, very tortured individual. We just had no idea he was capable of doing something like this," Tim said. Whitman's memorial service was held over the weekend. Several condolences were posted to the obituary site. "I have known Pastor Bob for over 25 years. He was a very God loving man, devoted husband to his soul mate wife Mindy, and a wonderful role model to his two sons. He was kind and giving to all and had a great sense of humor," said Linda Young. An anonymous poster wrote, "He was the best pastor I ever had and there no one that can take his place. He and his family will always have a Special place in my heart." "Deep sympathy to the family. Bob was a special good godly man and will be greatly missed. He was so giving and kind. We will always appreciate what he did for us. Love and prayers to the whole family," Doug and Donna McClain posted. Said Randy Franklin: "I knew Bob for only one year. He was referred to me by a mutual friend to complete a bath remodel in my new RB home. I have to say, he was Gem of a Man and I was privileged to know him. He often spoke of his faith in God and how he took comfort in knowing he'd someday arrive at a 'better place.' He clearly had a giving spirit and was not afraid to work hard and even go the extra mile without any expectations. May God Bless his family. Rest Peacefully, Friend."